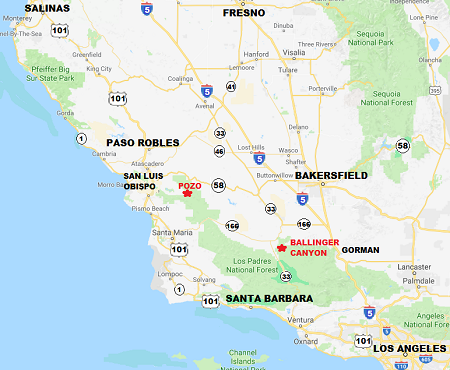 2 Day Dual Sport & ADV Ride from Pozo to Ballinger Canyon along the San Andres Fault… And back. Want to go riding somewhere different ? 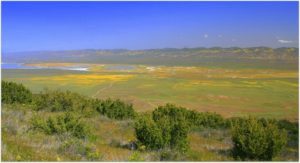 Ride along the San Andreas Fault. In an area few people venture into. 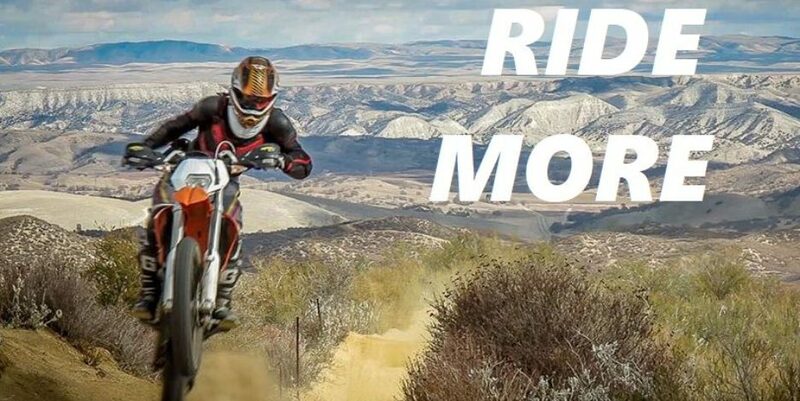 Ride enduro trails of 2 Classic Enduros on the same day. 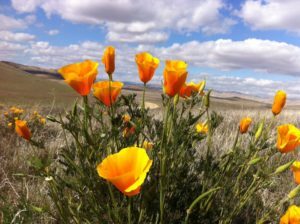 Ride from Pozo to Ballinger Saturday. 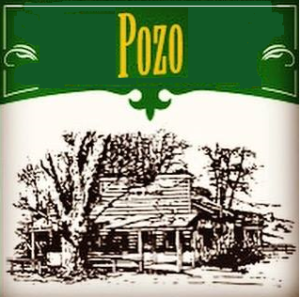 Back to Pozo Sunday. 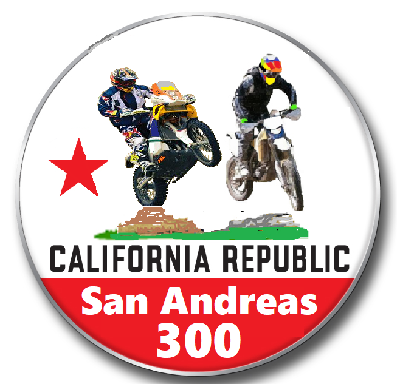 The San Andreas 300 Dual Sport & ADV Ride starts Saturday morning near the staging area for the old Hi- Mountain Enduro in Pozo. 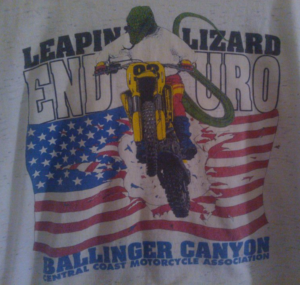 From Pozo we will ride to Ballinger Canyon, site of the old Leapin’ Lizard Enduro. 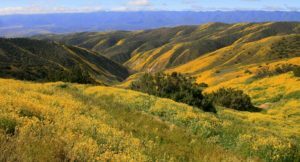 Saturday Night we stay at Sondog Ranch which is located in a small valley half a days journey from either the Los Angeles basin or the San Francisco bay area. 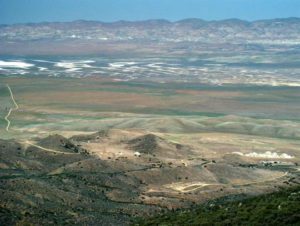 It is far enough from everywhere that it is often referred to as nowhere. Songdog Ranch is not a dude ranch, nor some ritzy retreat. It is a secluded rustic get away for the ‘real’ adventurous. There are no cattle grazing in the pastures, nor fruit trees along the fence line. The only thing raised at Songdog Ranch is beers by the campfire. Dual Sport loops include challenging sections. Some Singletrack on Dual Sport loops. Easier and longer ADV loop. 2 track & dirt roads. 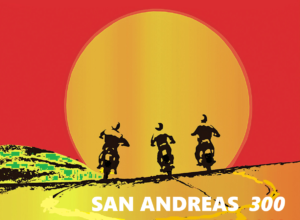 The San Andreas 300 is a classic dual sport & ADV ride, the way they were in the early days. You won’t find games, talks, or seminars. You will find an enduro based ride that takes just about all day to complete. Offering you challenges and scenic landscapes and enough stories to tell for the rest of the summer. 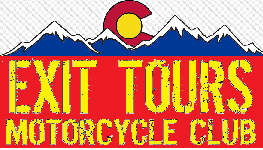 This will be a non-competitive Club Ride (Signing-up includes Club Membership) for up to 60 riders paying for the amenities with the ride, and not the ride itself. Starting and camping on private property on an unguided ride with outriders.